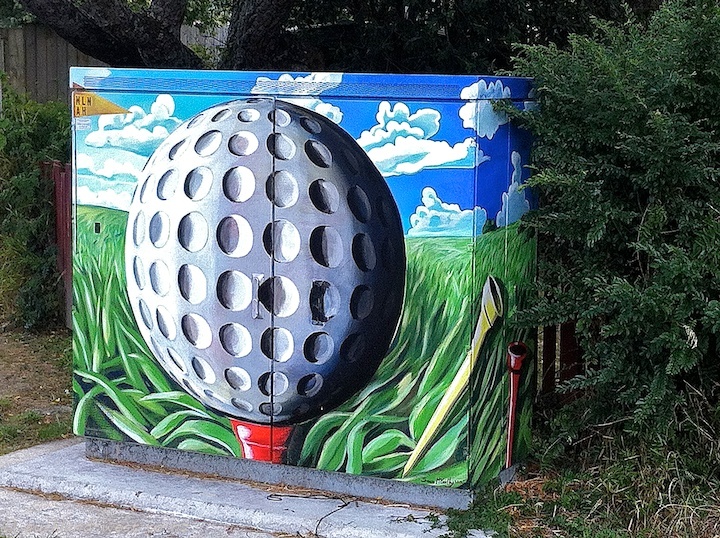 This roadside cabinet is on the corner of Portage Road and Links Road, New Lynn — on the approach to the Titirangi Golf Club. Could not think of a more appropriate subject. Artist: Sean McCarthy.